SIM Malawi | Keeping the tradition alive! The prowess of German equestrians is well known. Medals of all colours are regularly won at European and World Championships and Olympic Games. But could that tradition be carried on here in ‘the warm heart of Africa’? 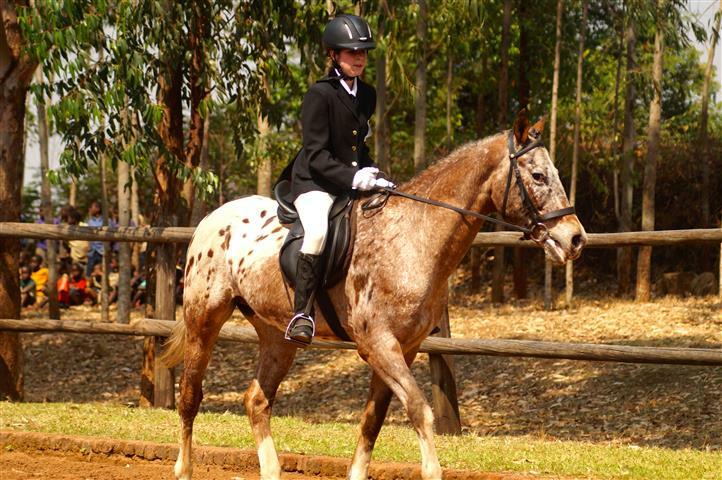 Talea Richter, age 13, recently took part in her first Fédération Equestre Internationale (FEI) dressage test against riders from Malawi, South Africa and Zambia. She was faced by FEI judges who have officiated in Olympic competition so the standard was tough but she still finished in fourth place in the Malawi section of the event. “I started riding when I was in Standard One, aged about six, and then started dressage about three years ago,” said Talea. One of the bidding cities for the 2024 Olympics is Berlin. Talea will be 23 by then so is it possible that a Malawi-trained rider could represent Germany at those games? MMI hits the ground running!